On July 28 and 29, 2018 the Roger Tory Peterson Institute of Natural History (RTPI) and Panama Rocks Scenic Park will host the second annual Wild America Nature Festival, celebrating nature and all things inspired by it, on the grounds of Panama Rocks. The cornerstone of this festival is our Juried Nature Fine Art and Craft Show & Competition. Our first festival in 2017, with over 4,000 guests and 40 amazing artists, was well received by guests and artists alike. Winners of the 2017 art competition include: Matt Patterson of Stone Ridge Art Studios from New Ipswich, NH (winner of the 2017 Roger Tory Peterson Wild America Art Award and the Wild America Award for Nature Art); Bill Bale of Sandhill Designs from Jamestown, NY (winner of the 2017 Wild America Award for Craft Using Natural Materials); Heidi Ahmed of House of Watercolor from Indianapolis, IN (runner-up for the Wild America Award for Nature Art); Ellen Paquette of Ellen Paquette Art and Music from Warren, PA (runner-up for the Wild America Award for Nature Art); Gregg Kristophel of Riverwood Trading Co. from Harmony, PA (runner-up for the Wild America Award for Craft Using Natural Materials); and Debbie Penley of Penley's White Oak Creations from Sugar Grove, PA (runner-up for the Wild America Award for Craft Using Natural Materials). A complete list of the diverse and incredibly talented artists from our 2017 festival is available online at www.wildamericafest.com. The 2017 Wild America Nature Festival created a strong foundation for the future. Our goal is nothing less than to grow the event into a nationally prominent festival renowned for the quality of its art and programming. We hope that you will join us in this ambitious and exciting endeavor by applying to become an artist exhibitor in the 2018 Juried Nature Fine Art and Craft Show & Competition at the Wild America Nature Festival. BOTH ARTISTS CREATING ART WITH NATURE AS A SUBJECT MATTER (PAINTING, SCULPTURE, PHOTOGRAPHY, ETC.) 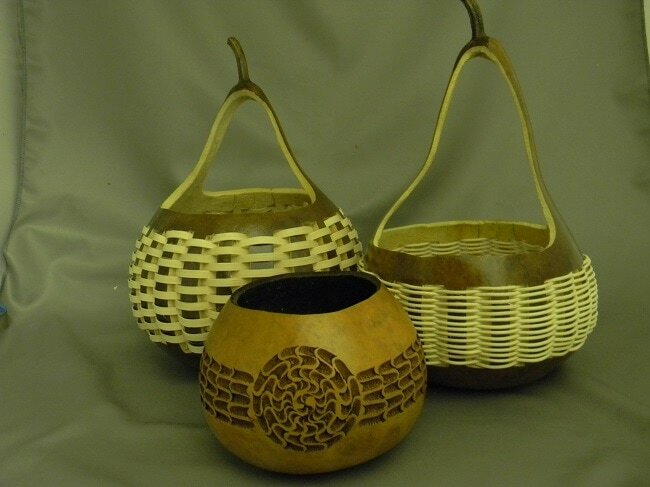 AND ARTISTS CREATING ART AND/OR FINE CRAFTS USING NATURAL MATERIALS (WOODWORKING, POTTERY, NATURAL FIBERS, ETC.) MAY APPLY. In addition to the Nature Fine Art and Craft Show, the Wild America Nature Festival features renowned speakers, award-winning chefs in a local food cook-off, live animals, live music, classes, workshops, and more. The mission of the Wild America Nature Festival is to raise awareness of wild America through education and art, encourage sustainable enjoyment of the environment, and promote conservation of our natural world. The Wild America Nature Festival provides a forum to promote conservation efforts. Additional information is available in our festival prospectus. If you have any questions or require additional information, please contact Jonathan Weston at jonathan@panamarocks.com or 716-782-2845. ​The Juried Fine Nature Art and Craft Show at the Wild America Nature Festival will feature a number of artists working in a wide variety of genres. The featured artists listed below are a small representation of the artists and art that will be in the show. A full list of all artists in the 2017 Juried Fine Nature Art and Craft Show will be posted in mid-to-late April 2017. 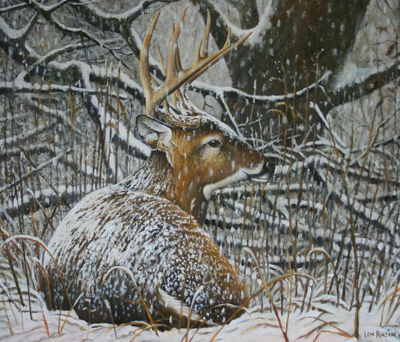 Len Rusin’s inspiration to paint wildlife and wilderness developed while backing through New York, Florida, Alaska, and several northeast states, as well as Canada. 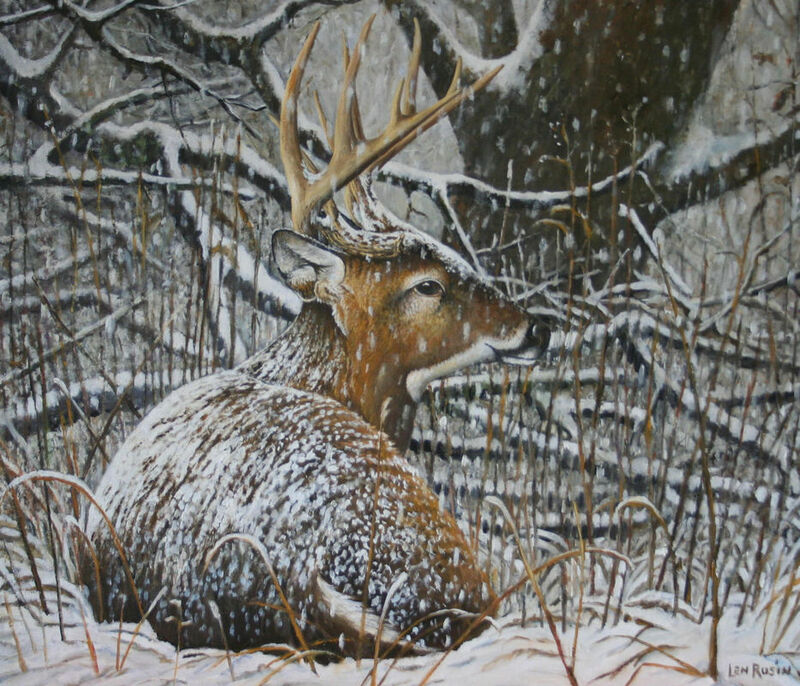 His artwork captures the raw spirit of nature and reflects his concern for the environment and vanishing wildlife. Rusin’s strong sense of design and style create an emotional appeal which force the viewer to pause and experience the painted image. Rusin's art has won national acclaim. His work has been seen on Duck Stamps, the cover of Conservationist magazine, New York Sportsman magazine, Florida wildlife magazine, and other publications. He was Artist in Residence at Acadia National Park (2007) and Grand Canyon National Park (2008), and has exhibited his art in many prestigious galleries including the Roger Tory Peterson Institute of National History. 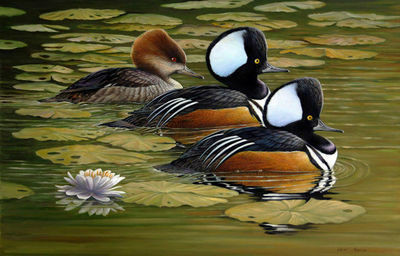 For a full biography and gallery of his work, please visit www.lenrusinart.com or www.natureartists.com.rusinl. 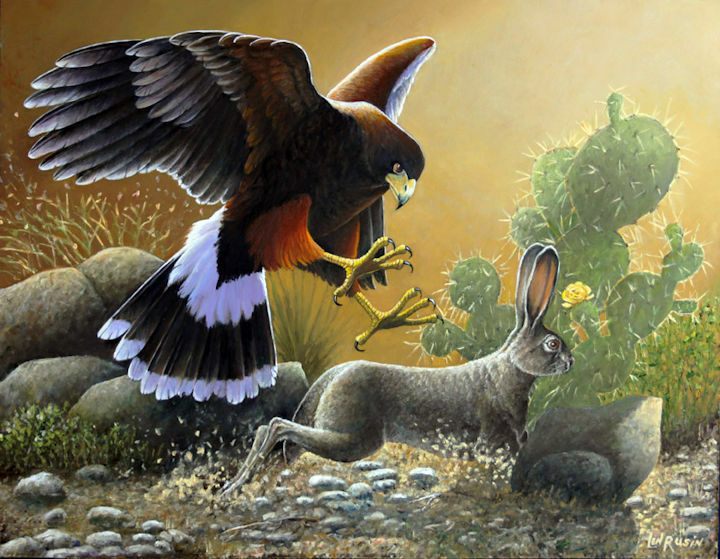 Matt Patterson is an accomplished wildlife and nature artist focusing on painting, illustration, and wood and paper sculpture. He has completed a variety of work ranging from scientific and book illustration to trompe l’oeil murals and wood carving. His 2010 book, Freshwater Fish of the Northeast, won the National Outdoor Book Award for Design and Artistic Merit. Patterson recently finished illustrating a book on Reptiles and Amphibians, The Snake and the Salamander Reptiles and Amphibians from Maine to Virginia, released January 2017. For a full biography and gallery of his work, please visit www.mpattersonart.com. Audrey has been a professional artist for 30 years and her work is widely collected and is represented in collections throughout the world. She has explored many different art media and has developed a strong collector base and following for her paintings and one of a kind clay art. Although Audrey explores many different mediums, her underlying love of natural form is always present in her work. For a full biography and gallery of Audrey's work, please visit Portage Hill Art Gallery in person in Westfield, NY or online at www.portagehillgallery.com. Michael Weishan specializes in nature, fine art and location/lifestyle portrait photography. He values the diversity in nature, seeing the patterns and textures in the chaos of nature, and observing interplay of wildlife. For a full biography and gallery of his work, please visit www.mrweishanphotography.com. 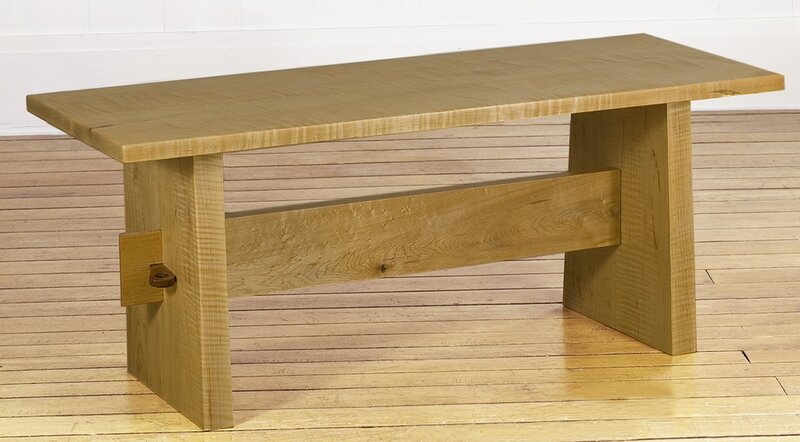 Bill Bale is an award-winning woodworker specializing in modern interpretations that respect the fundamental look of 100 year-old Arts & Crafts style originals. His work includes elements such as vertical lines, square motifs, corbels, and broad over-hanging tops familiar in the work of the masters, while keeping modern needs in mind. For a full biography and gallery of his work, please visit www.sandhilldesigns.com. 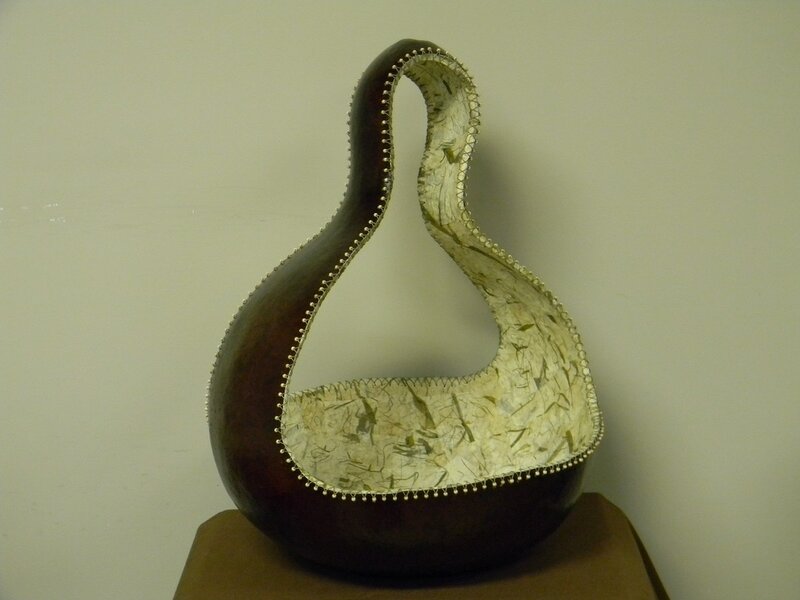 Nancy and John have been creating fine art from gourds for twenty plus years. 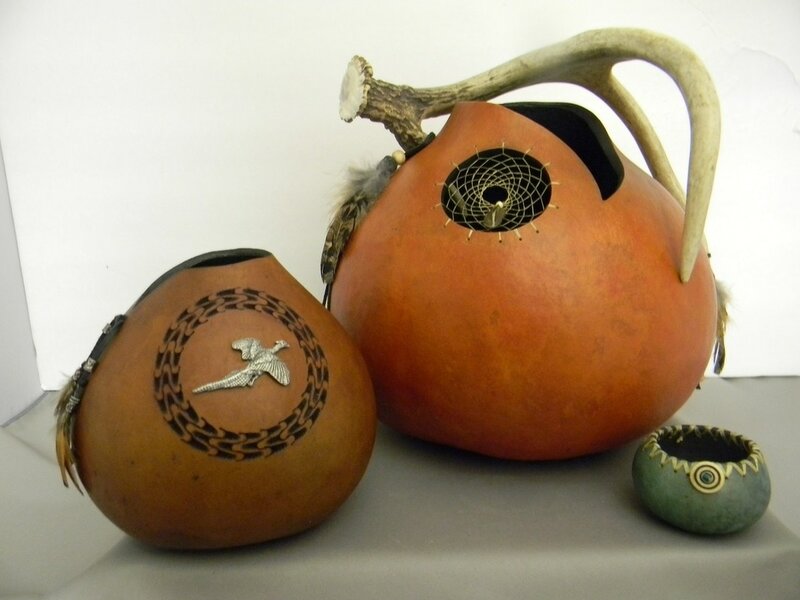 The pair have exhibited their work, taught workshops and won awards at state gourd festivals. Both have a deep appreciation for the natural beauty and versatility of this medium. Nancy and John can be found on Etsy at www.etsy.com/shop/wetdogstudios.